Top Mark Solutions work with independent pub owners and pub maintenance and refurbishment contractors to clean pub exteriors, including render cleaning and jet washing, and to keep premises looking at their most appealing to patrons. Our services offer you a one-stop shop for business premises cleaning that includes all of the common forms of pub exterior cleaning services too. 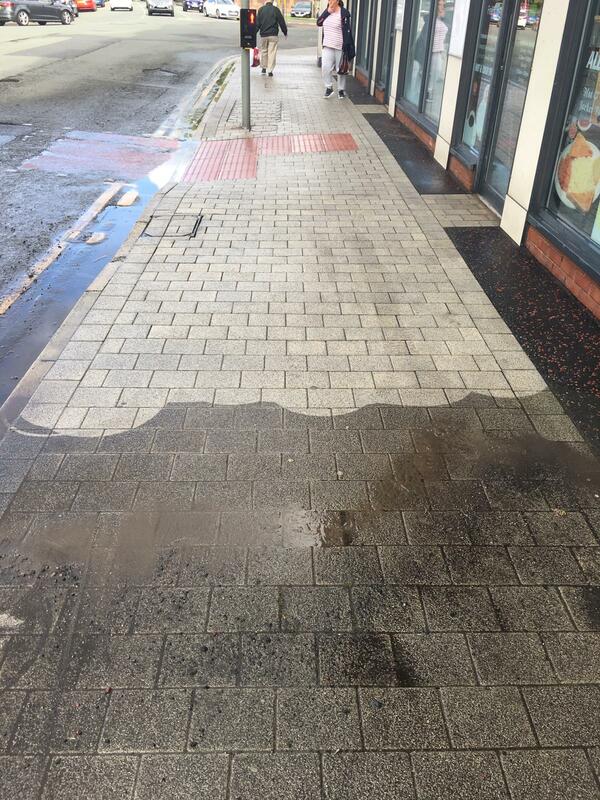 Jet washing for general surface cleaning especially including pavements, walls and other hard surfaces. Render cleaning to restore exterior wall cladding to full cleanliness and an attractive as-new appearance. Line marking for car park bays, disabled spaces, reserved parking and cross-hatched ‘no entry’ zones, plus pedestrian route marking and crossing points. General grounds maintenance including lawns, flower beds, shrubberies and other exterior planting, fencing and edgings. Gutter clearance and drainage clearance to ensure safe and efficient rainwater run-off even during heavy downpours. Bin store maintenance to improve storage hygiene and reduce pest control problems. Graffiti removal as a reactive service – on top of, or instead of, scheduled render cleaning and wall jet washing. General reactive maintenance as required to keep premises in good condition and ensure customer safety. It’s a long list and the versatility of our pub maintenance services means that we can respond to an even broader range of reactive maintenance requests as and when new problems arise. A YouGov survey conducted in 2017 found beer gardens to be a feature of the ‘perfect pub’ for 63% of people, ranking second only behind the 67% of people who want their dream pub to serve meals. But beer garden maintenance can pose unique challenges, as you may have to deal with a combination of different hard surfaces like paving, concrete, brick walls, stone and render, as well as trees, shrubberies and other planting. Our professional pub cleaning services can extend to beer gardens too – our jet washing can be used on all kinds of hard surfaces, with high-temperature, high-pressure jets that lift out even deeply ingrained dirt. Crucially, this can remove slip hazards from floors, such as moss and other growths, or mulch residue from fallen leaves during the autumn months. By ensuring surfaces are well cleaned of any such residues and accumulations, you give patrons the maximum possible grip, allowing beer gardens to be used with relative safety all through the year.